Brooklyn-based multimedia artist Michael Hambouz grew up in the shadow of the French Paper Company in Niles, Michigan. 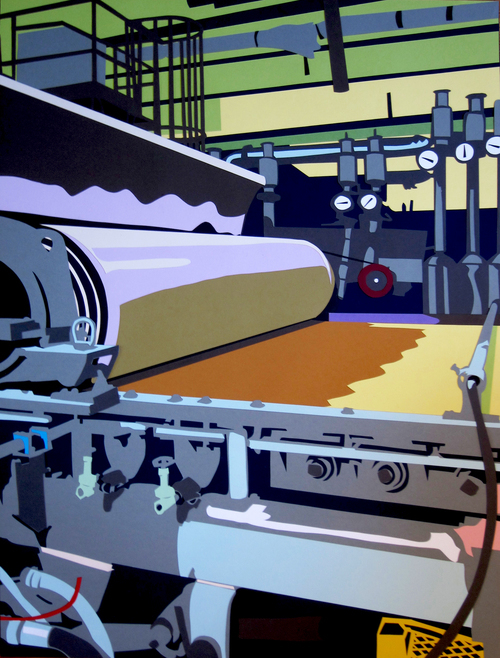 Following the death of his mother in 2012, he found both a link to home and renewed creative inspiration through a series of hand-cut paper collages that use French Paper to depict scenes from the factory itself. The results are quite stunning. You can check out the complete collection on Hambouz's website. If you happen to be in or around New York City, there is an in-person exhibition of Factory Made running for one more day at the Lobby Gallery at 1133 Avenue of the Americas (between 43rd and 44th streets).